Google has a number of products that let you optimize your website. These products work reasonably well and are more or less free. I think it's time they expand into products for your home. First, Google Analytics needs to branch out into Home Analytics. It could help you keep track of visitors to your home, how long they stay there, what rooms they go into, what languages they speak, that sort of thing. Once you know who your visitors are, and how they spend their time, you can optimize your home for visits. You could set up goals and use goal-tracking to see if your visitors are reaching the goals, and you can track how changes you make affect their rate. One goal might be helping your guests find drinks in your fridge. Many teenagers are capable of finding food/drink anywhere you hide it, but older guests might require more prompting. 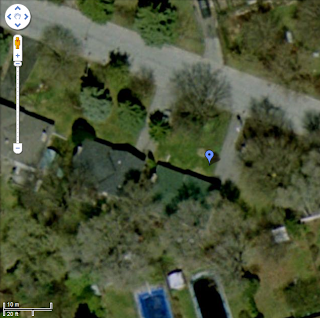 Google maps and Google earth provide a bird's eye view of your property. What's needed is for this to be real-time, so that you can see if the roof needs servicing or if there is a car in your driveway. Also a Google Map of the inside of your house would be useful too. This could be integrated with Search so that you can find the remote control. Google Search needs to be able to find stuff in your house, as well as answer questions for you. A common problem in my home is the multiple-memory problem; everyone remembers the time my brother put the thing into the toilet, but we can't remember when. Google Search could cross-reference this with your other memories and reconstruct the timeline using MemoryRank and other heuristics. Also Google Search could find the receipt for your new DVD player because it's broken and you need to exchange it under warranty. Posted by Mr. Shiny and New at 6/05/2009 04:00:00 p.m.